The Living Room | Are you living it ? This blog exists since 2010 and reflects my own journey, as well as featuring the contributions of many souls that I met along the way. What an exciting, surprising and fulfilling time it has been and now, almost 4 years and hundreds of postings later, I can honestly say – what a trip and we have not seen anything yet ! 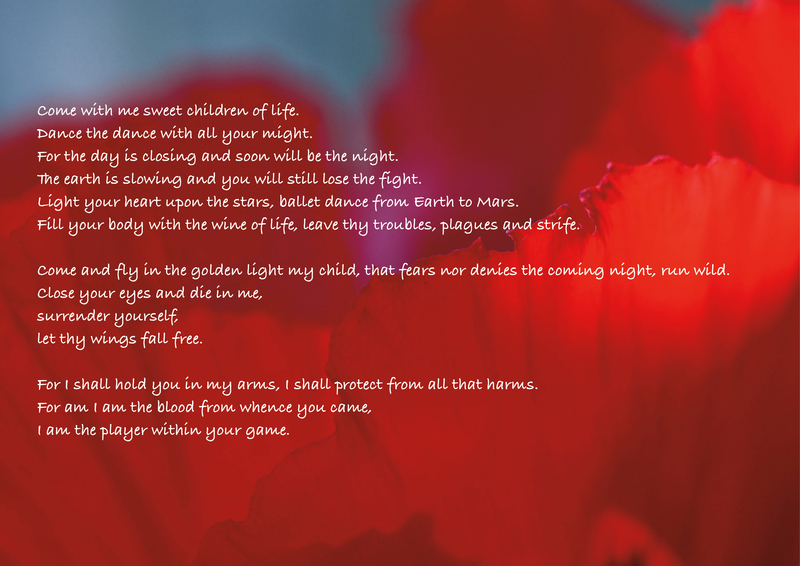 Check out the themes and different collections, like “Listening to Orpheus” or ” Means of Life”, or ” Michaela on Medicine”, or enjoy the Original Poetry. Please comment and share your own thoughts and experiences. As always, if you have a an idea, perhaps a subject that raised your interest or a question you wish to explore, and of course if you would like to contribute, please send me an email. Enjoy the Living Room, share with your friends and return any time you like ! You may have noticed that the contributions under the title “Finding the golden thread” are password protected. If you are interested in reading them, please send me an email. 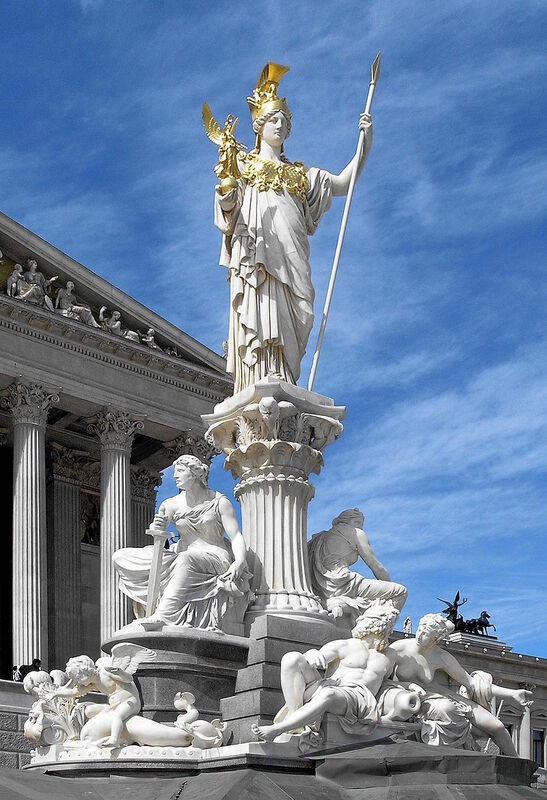 Pallas Athena, the commanding figure in front of the Austrian parliament on Vienna’s Ringstraße, has always made quite an impression on me. I remember her well from my early years of childhood, when my grandmother took me to the park opposite the parliament building, from where I often caught a glimpse of Athena’s golden helmet, gleaming in the sun. The statue is standing on top a a fountain, two female figures sitting at her feet, a representation of her main aspects: “War”, holding a sword, at her right side and “Wisdom”, clutching a book, to the left. At the bottom a playful scenery of four allegorical river personae, Moldau, Elbe, Danube and Inn, the latter the only male figure. Athena is the patron of knowledge, strategy, courage and strength, but also arts, crafts and skills. When I look at her, I find a curious kinship with her confident and towering presence, standing high above her more playful, feminine aspects, symbolized by the river deities at her feet. And I am reminded that Pallas Athena is also a weaver. There is a curious mural on a building facing the back of our garden. It shows two giant hands, as if they were reaching down from heaven, cupping a pretty, green globe, like a delicate plant or sapling. 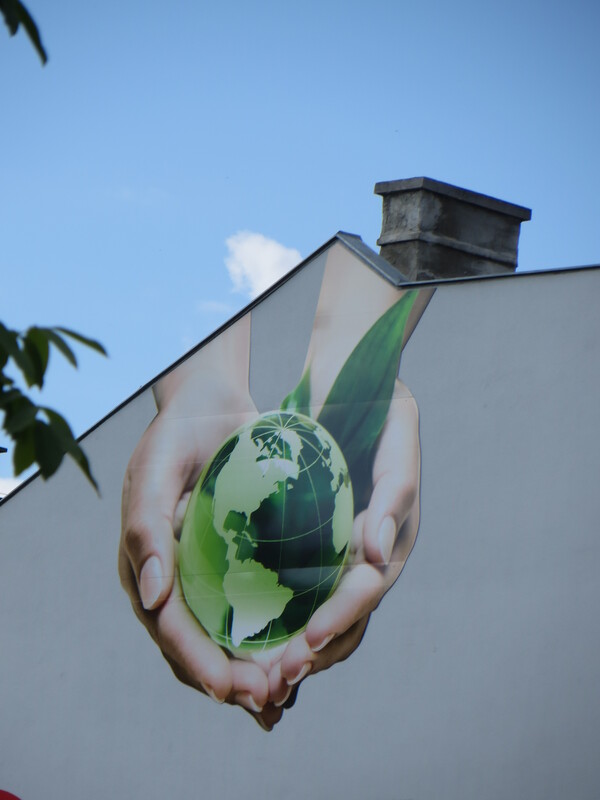 The image is part of an advertisement for a real estate developer and I have always wondered what made them choose this subject and ever since I spotted it, I cannot help but marvel at the symbolism. It can be examined easily from my favorite spot in the garden, a white whicker chair at the edge of the sunny lawn, shaded by a yellow rose bush, that has been there since I was a child. When I was growing up, sheltered and secure behind the dense hedges and the wrought iron fence enclosing the garden, the outside world, images of foreign countries, glittering cities, dark forests and the deep sea, was brought alive for me by listening to stories and looking at the images of books. I was a child of imagination, as all children are, and when I read, or was read to, the words and pictures always took me on a journey of excitement and exaltation. I lived through these books, moved with the dancing letters and their images and resonance followed me into my dreams, where they created magical places and wondrous adventures, that sometimes became so real, I could literally feel myself living out the scenery or character. I was called a bookworm, but nothing was more exciting to me than to plunge into an adventure penned between the pages of a book, that I went to pick out from the library, or later found on the shelves of my parent’s bookcases. I loved all books and they inspired my world of imagination, soon to be reflected in my own experiences. not next year, now ! It gives all it has, whatever that is at the moment. How do fables conclude, and who will explain them? from beginning to no-matter-how it ends. Should I use the pronoun we? the friend walks by, and bricks in the wall feel conscious. Infertile women give birth. Beauty embodies itself. are those who sit at the table and eat. 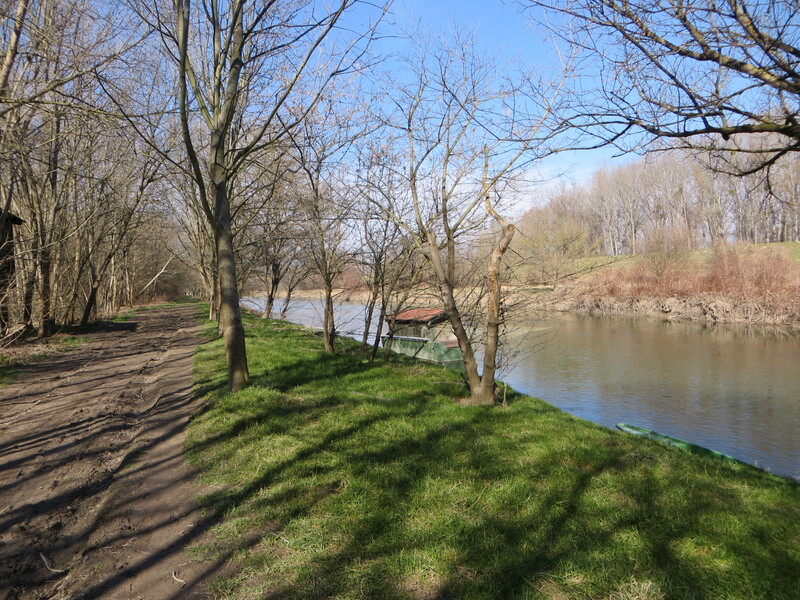 Where I live right now there is a small river that flows into the Danube, just a few miles from here. I often walk along it’s riverbanks, enjoying the sight and sound of the stream, as well as the many water birds, beavers and butterflies that are inhabiting the densely wooded flood plains. I moved to this place only two years ago, back to the old house of my childhood, to help my aging mother, an unexpected turn of fate, that soon would become an essential part of this journey. The symbolic meaning of my surroundings have been subject of many reflections, in particular the small river, destined to meet the majestic Danube, only a few bends and turns away. I always knew that my starting point in life would also be the place to launch my next exploration and adventure, and perhaps as a meditation practice, I loved to connect with it’s steady flow. 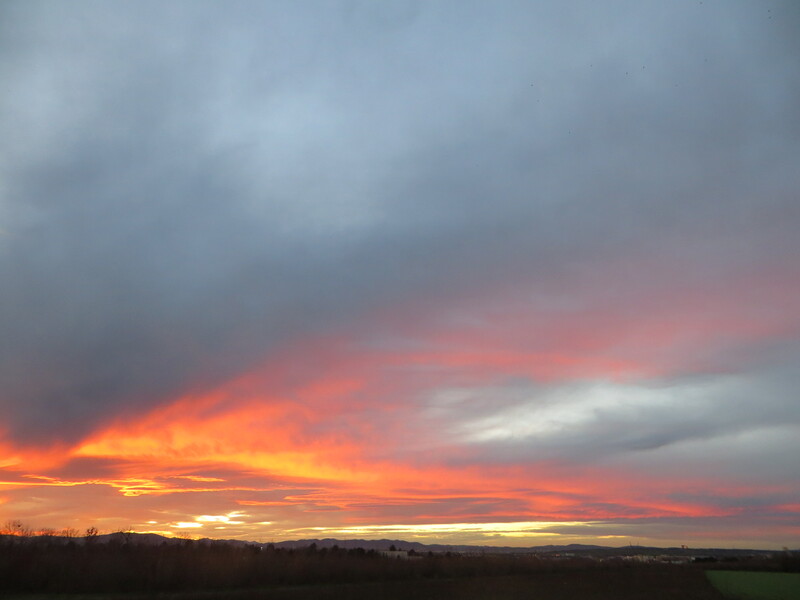 About a year ago, as I participated in a tele-course called ” Finding the Golden Thread”, I felt moved to take notes of some of the soul searches, that we were inspired to do. This was a very mystical time, moving deeper and deeper into the realms of the unknown and unseen, with the help and guidance of the formidable Marj Britt, an explorer extraordinaire, motherly mystic, veritable visionary and trusted teacher. As I published the contributions for ” Finding the Golden Thread” , it now feels like it was a time of laying the foundation, mapping and scaling the path before us by deeply listening to the whispers of the soul and the longing of the heart. Inspiration came to me abundantly in symbols, images, art and poetry, and so I took what resonated and started to weave an impression made from words and imagery. 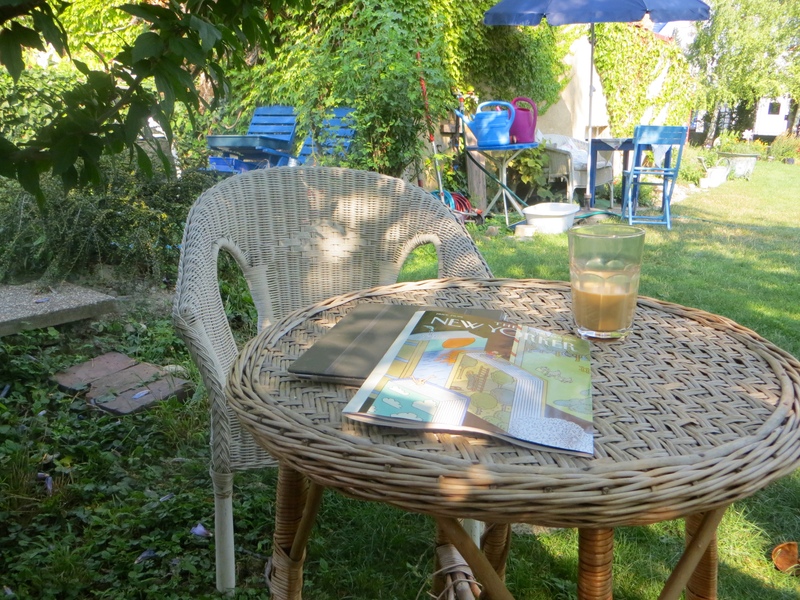 The writing ceased by the beginning of summer, even though many more auspicious and magical experiences tailgated the evolution of the next few months. It was like what had been seeded at the beginning of the year, captured in my writing, it’s vibration reflected in words and patterns, was now growing into maturity, evolving and preparing to be born. 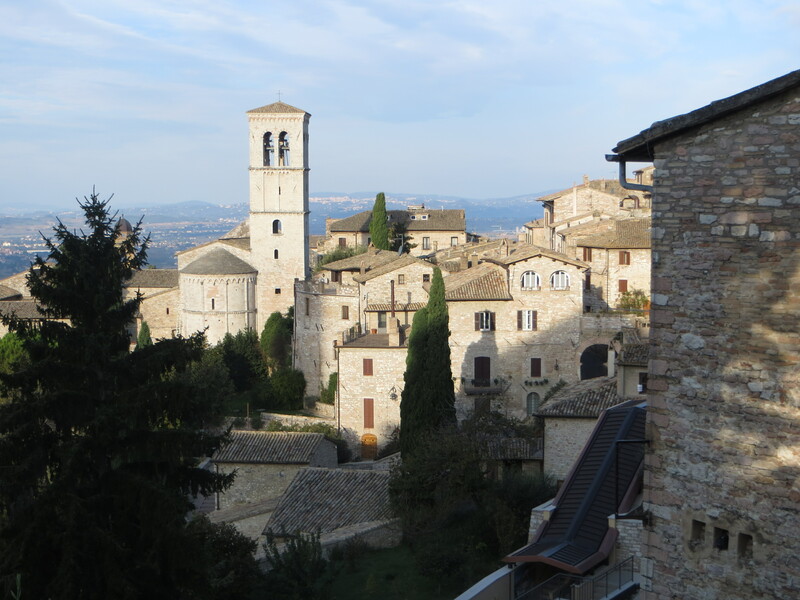 By the end of October I travelled to Assisi, a magical and deeply touching journey, basking in the unfathomable energy field of this magical medieval town perched on a hilltop. On the last day, I bought a curious little string bracelet with a wooden symbol, the Hebrew letter Tau. Later I learned that St Francis had used this letter – the Tau cross – in his writing and as a signature and had much veneration and devotion for it. The Tau is the last letter of the Hebrew alphabet and it’s meaning is „cross” or „seal”. On the tree of life it represents the last stage of manifestation, representing matter or the physical body and the tarot card associated with this stage is the last one, number 21, or The World, the final stage of the cycle. And so to me, the little tau cross tied around my left writs, became symbolic of the birth, the light coming into this world. The second „He” of the Tetragrammaton. The manifestation into form. By the beginning of the new year, I knew I was ready and as I opened myself up to receive more of the guidance and direction, I went through a time of great expansion and elevation. It was a time of learning to step into my own power, excititing and exalted, but also very intense in terms of encountering yet once more deeply seated patterns and beliefs, accumulated over a lifetime of error. To my surprise it was all about Faith yet once again. Many unexpected and unexplainable things happened, it was like I was in a very intense interior training situation in terms of making choices, in terms of acting from the highest level of consciousness possible, without falling into the trap of reacting to circumstances. 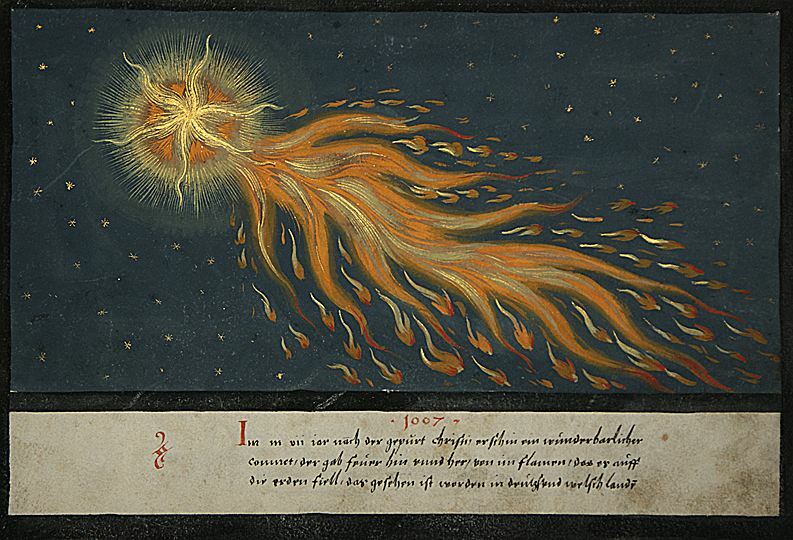 But it was also also a time of inspiration at a very unusual level, of glimpses and signs presenting themselves. I understood that Faith is power. The power to create deliberately, not based on circumstances or reaction, but by the choice of a desired vibration, a feeling of ease and flow, of happiness really, that is independent of whatever appears on the outside. And feeling into this beautiful flowing sensation of being aligned with life, it reminds me of listening to the small stream that is flowing towards it’s meeting and merging with the big river. What will be revealed, however, is not quite clear yet and so I am following a trail of signs and symbols that I encounter and recognize as signposts along the way. It is giving me some indication of where I am and what to give attention, and it is like life is giving me some encouragement that all is well and just keep on going, because it appears that on the path of expansion we are being tested, again and again. About two weeks ago I had an encounter with the tantric goddess Dhumavati Devi, the fearful aspect of the Divine Mother. 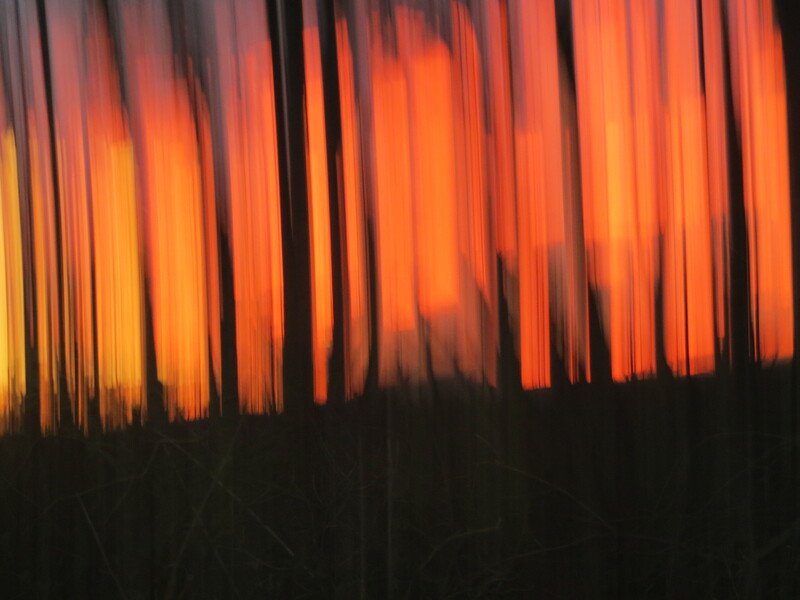 She presented herself in an image that strongly spoke to me and I started to explore. 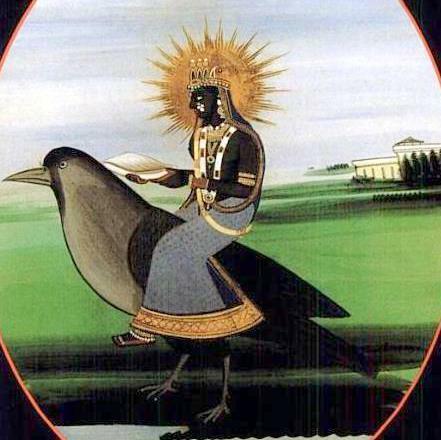 I found out that Dhumavati Devi, the crone aspect of Kali, depicted as an old woman with a crow, represents the void after dissolution and before creation. She is described as a great teacher, one who reveals ultimate knowledge of the universe, which is beyond the illusory divisions, like auspicious and inauspicious. 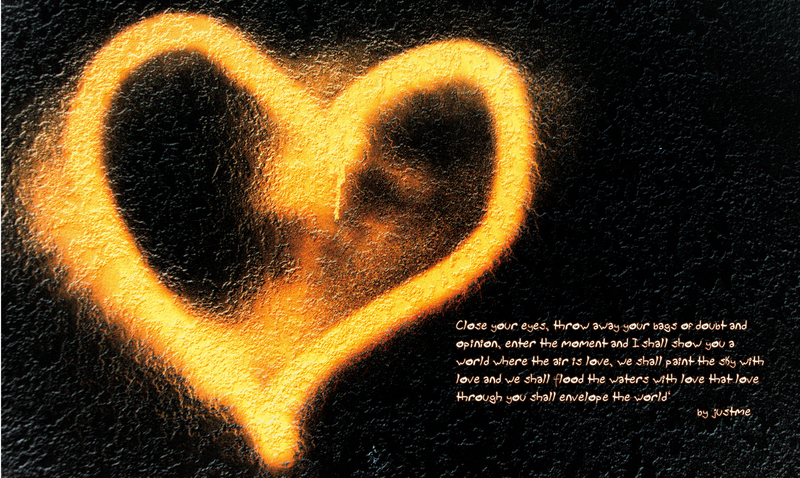 She teaches us to look beyond the superficial, to look inwards and seek the inner truths of life. In her hand she is holding a conch – the symbol of prosperity, and in her other hand a snake, the symbol of passion and desire. I did recognize that place in myself and it gave me a sense of orientation. In my outer life things were becoming challenging in terms of unexpected issues and perceived limitation. But connecting with Dhumavato Devi I knew this was there to test the faith and expand further,to stay connected and positive, no matter what showed up, and so I used Dhumavati’s yantra, the sacred symbol of her vibration and concentrated on the promises of her emanation, thanking the universe for the guidance. 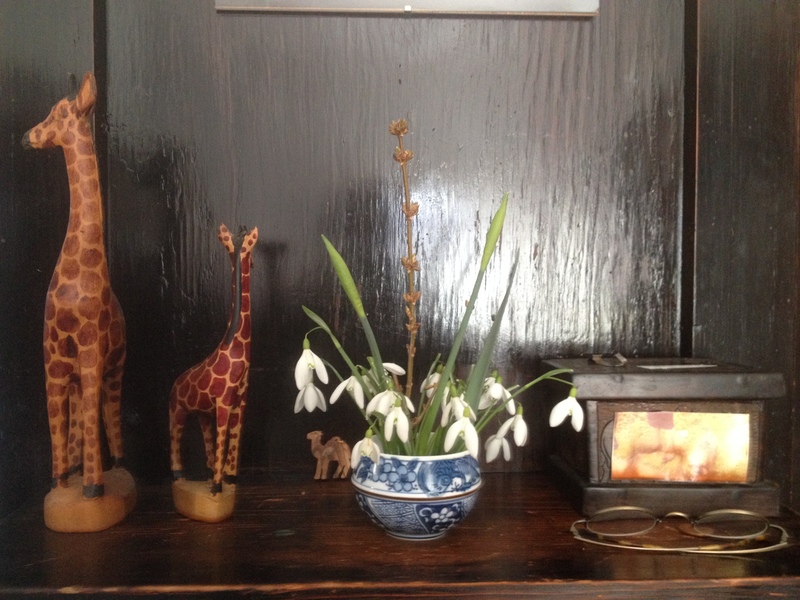 From one of the walks along the river I brought home a handful of snowdrops. Difficult to find, I had to cut my way through the undergrowth to pick them. At home I put them in a little Chinese bowl , took a photograph of the pretty still, and suddenly knew there was something there for me to decipher and see. On the right hand side stands a little wooden box, like a treasure trove yet to be opened, and my spectacles, standing for vision again, but also focus and clarity of seeing. A few days later I felt prompted to ask a question: “ what can I give in order to take, as I want to do ?”. My preferred method of tapping into my intuition is using Tarot cards and this time I drew card XII – the Hanged Man. I have always been drawn to this image, a serene looking man, hanging upside down, patient and surrendered. 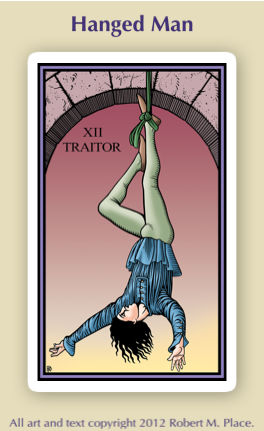 The original name of the card is “The Traitor” and this card represents the sacrifice of both, the persona and the ego that is necessary to continue. By hanging upside down, the Hanged Man is losing his gold, which represents the loss of worldly possessions, or self-esteem. But the Hanged Man represents also a conscious sacrifice for a higher good, or the willingness to take cues from outer appearances, not as a victim, but as a creator. For me, this could not be any better message, for I have had a long held fascination with the idea of sacrifice, or “make holy” (whole) of what appears on the outside. It signifies the willing opening up to circumstances that could be considered unappealing or unwanted, even threatening, but understanding that they are also an opportunity to catch glimpses of beliefs and patterns that keep us back and grounded too much in what we call our manifest reality. In my work helping people finding their path to heal, this has become a central aspect, not easily understood or accepted by just anyone, but for those who are ready, this turns out to be a very auspicious and effective approach. It was in the reflection of this card, a curiosity about the concept of ” Traitor” that made me tap into what I feel has been my core belief, the root of errors, shaping my decisions and circumstances. Betrayal has been a theme on this journey, in particular when it was about commercial endeavors. It had happened to me over and over again and it was something that frustrated me greatly. In the past I learned a lot about unconscious expectations and communication, that on a more superficial level caused confusion and frustration, but not until I connected with the “Traitor” and his theme of “punishment” for his “crimes and treason” by being hung upside down, I did not realize how much I still entertained a deeply seated belief, that played itself out with a vengeance. This belief was rooted in some incidences in my childhood, that made me chose based on a sense of responsibility and guilt, as opposed to my true inclination. This lead to much effort, overcompensation and frustration, all rooted in a hopeless thought that at the bottom of my belief structure: ” I cannot give others what they want “, that consequently turned into “I cannot give myself what I want”. There was a lot of guilt and shame around this, a fear of being judged, a habit of self-punishment in terms of not allowing myself to relax and feel good, and a tendency to hold myself back, to not allow inspiration and imagination to move me, where it wants me to go in terms of expression and evolution. And so I understood that this is what I had to give – to let go of what has been a restraint and renunciation of my own desires and passion, for a perceived obligation of having to give someone else what they were asking for, secretly always feeling like dancing on a tight-rope with a hand tied behind one’s back. This is what I had to give – to let myself fall and fail, to declare defeat and so allow the belief come to a rest and so enter into the realm of effortless creation, vitality, abundance and enjoyment. It may sound strange, but realizations like this drain one’s energy, or it is rather that so much energy has been used in keeping the idea love, that the sudden dissolution of what has motivated a life based on a perceived idea of having to do something that may please others, but did not fulfill oneself, that a phase of deep resting and pampering becomes necessary. And so, last week, I met with a friend and we decided to go for a walk to an area not far from here, that has been a place of inspiration in the past. It is a nature park with an old monastery, ruins of a fort and castle, dating back to the 11th century, a deep and thick forrest, old trees and farm animals. The area is called “Wüste”, the German word for desert ( in starch contrast to the lush and green environment9, but it eludes to the hermitage of former times, when the monastery was still there. I have been walking there often and written about many objects and encounters, that always happen when I go there. 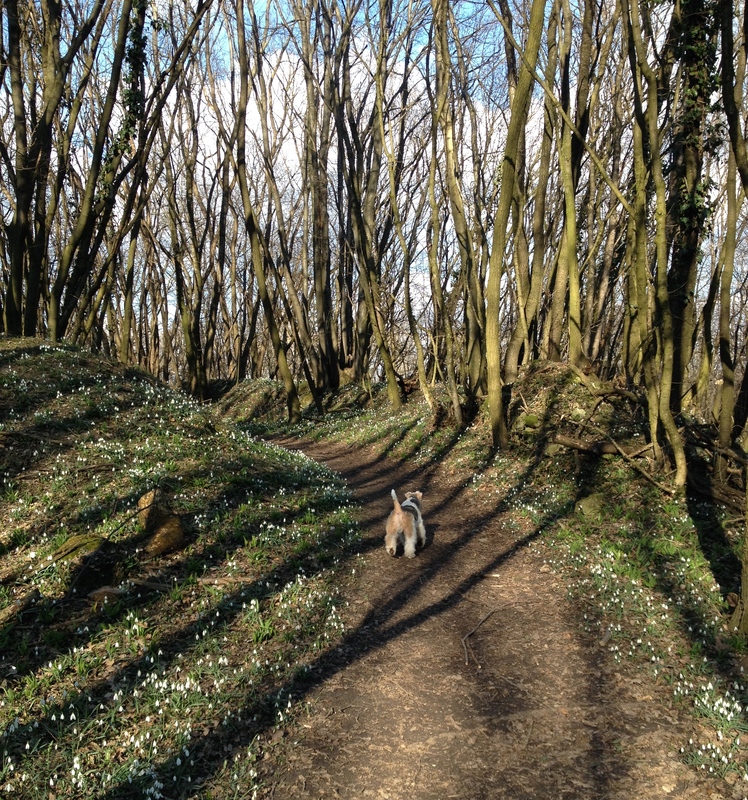 This time it was no different, for we walked between snowdrop carpets, like I have never seen before. They were everywhere, abundant and magnificent to see, and I knew this is what life has offered me now, for me to take and bring it out in the world, just as I want to. When I returned, I remembered an old HC Andersen story ” The Snowdrop”. It is about the journey of a small flower from a bulb to blossoming, to being picked and ending up in a poetry book. I had to smile, because I remembered an old photo from my childhood, when i went to a children’s party, disguised as a snowdrop. But it was strange, when I went to look for the photo, it was no longer there. Perhaps this is a sign too. This is Mozart’s last symphony, composed in the summer of 1788.